Mobile file with locking top is part of the Safco Impromptu Collection. Design features a steel frame and translucent polycarbonate side panels. Locking laminate top secures your files. 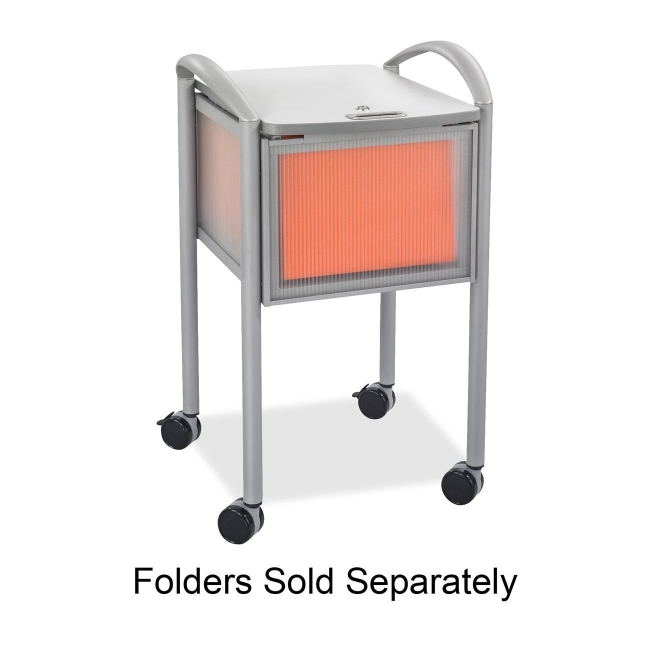 File compartment accommodates letter-size or legal-size hanging files (sold separately). Durable steel frame offers a powder-coat finish. 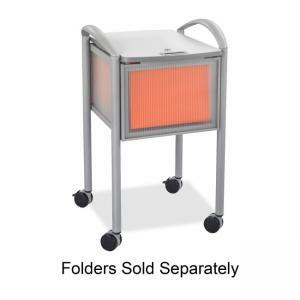 Mobile file cart includes two keys and rolls easily from location to location on four 2-1/2" casters swivel casters (two locking).